One thing you may not know about us is that despite our love of horror movies and action films, we love a good family movie. Lucky for us (and you), we have a couple recipes for some great family films coming up. 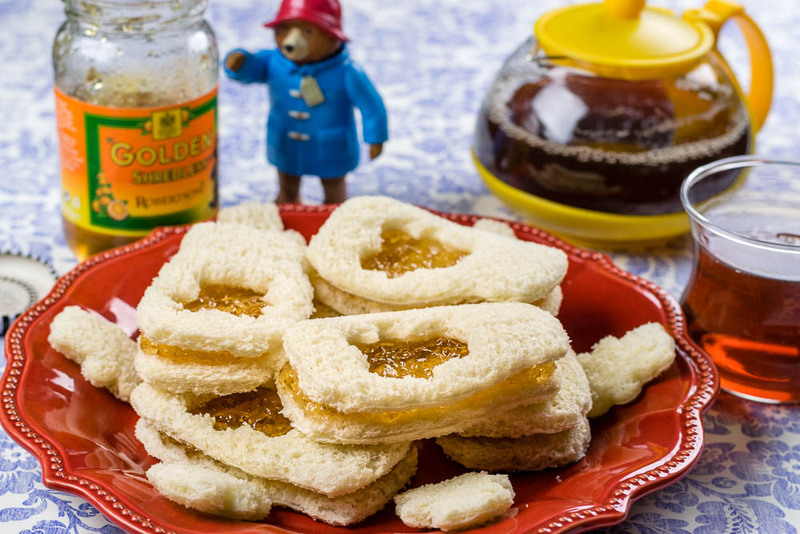 The first of these recipes is for Paddington 2. 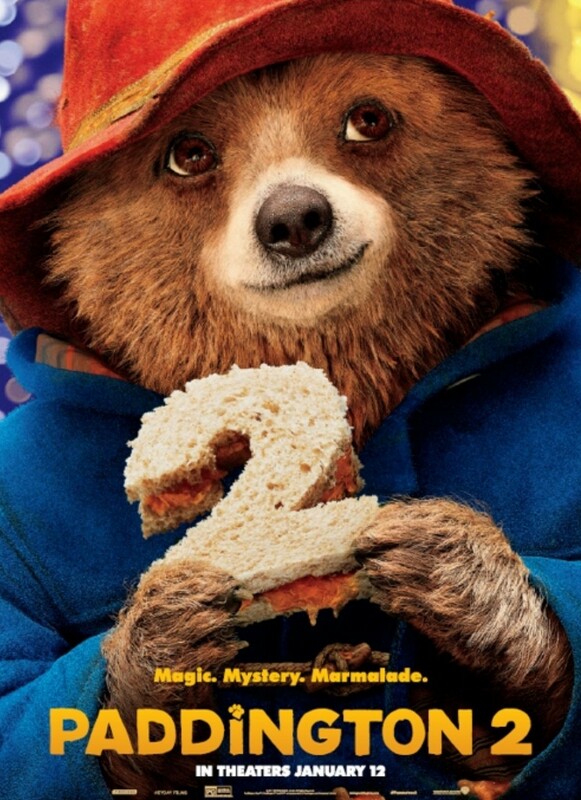 For this movie we’ve created a fun and adorable (but super easy) recipe for Marmalade Tea Sandwiches. This recipe basically created itself. 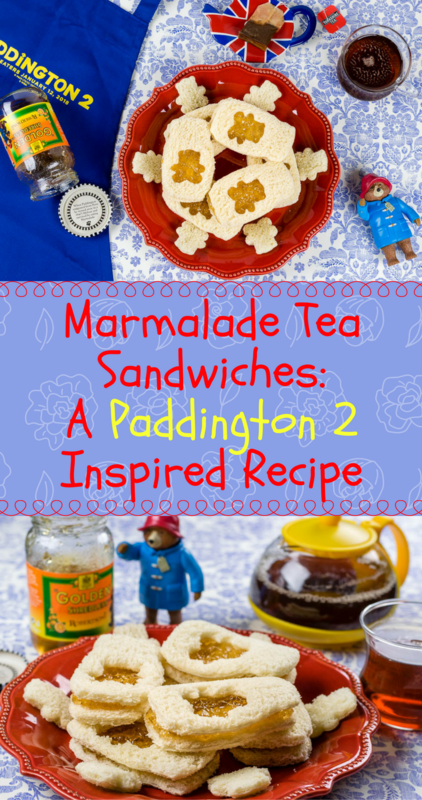 Paddington loves marmalade and learned from his Uncle Pastuzo to always keep a marmalade sandwich in his hat for an emergency. Therefore, it stood to reason that we should create a marmalade sandwich recipe. To make it a little more unique, we found a couple cookie cutters that helped elevate them to more than just sandwiches. Always shaking things up, we’re doing things a bit differently this time! Normally, we giveaway screening tickets for movies, however, this time we are giving away 6 Family 4 Packs of Fandango Passes AND 6 Prize Packs (prizes will vary depending on availability) which means you can see Paddington 2, anywhere in the U.S., at any time, until Thursday, February 8th, up to $12 a person! The winner will be chosen on Wednesday, January 17th, so you’ll need to enter quickly! Good luck! Using the jar cookie cutter, cut a jar shape out of each slice of bread. On half of the slices, cut a bear out of the jar. 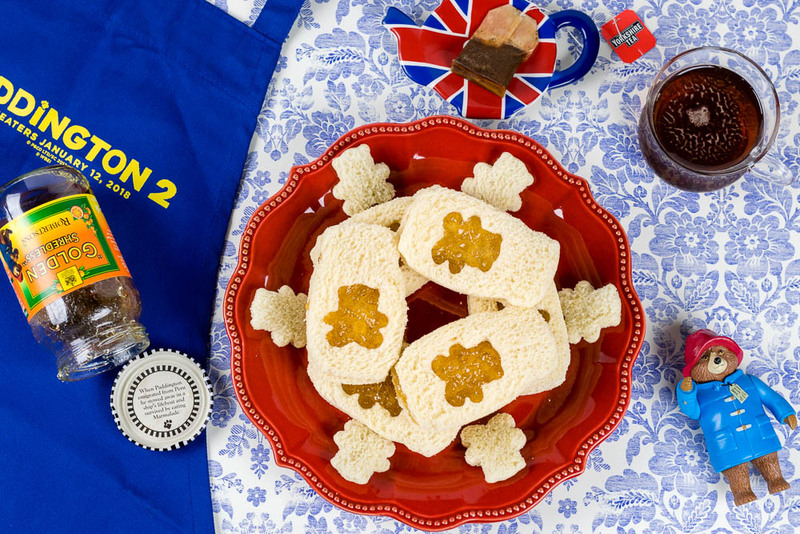 On the slices without the bear cut out, spread a layer of marmalade. Top with bread with bear cut out.